So got access to the team repos. Was looking through the code I'll be working with. Glad to say it's undocumented with a bunch of "String j =" for that instant knowledge of what the variable is. Also there is a bunch of code that's been commented out but not removed because reasons. And logs are really helpful as they display "mayday mayday, /xyz got hit". Very Useful. Glad it's still readable though even with all of the bad practices. So it took a long time after the interview. My first job interview is in 2 hours. Very nervous. Tomorrow's my last day of internship. Though I learned a lot about Java and stuff. It was quite boring. Me being the youngest and my manager not really talking much. I would just sit there waiting for him. I actually made a whole freaking project for them yet I've gotten no compliment or something. They kinda used me cuz I'm supposed to be learning but I spent all my internship doing the whole project ALONE (because I'm competent enough to do so) but had a really low stipend. But guess that's how it is in the corporate world. People just care about getting work done and have no interest in technology whatsoever. I just stand up and go to the corridor and just stand there looking outside. Well hope this internship pays off in my resume or the skills or something. Yesterday I went to my manager to ask him if the design document I'm making is correct. He was smiling looking at his laptop and when I came, I could see the annoyance on his face. Well, not like I can do anything other than just posting this rant and moving on. But man this is my first time feeling like this. Maybe it's also because I'm self taught. They never got to encounter anyone like me, or someone my age. Oh god don't get me started on how everyone thought they were future tellers and had every sort of argument to throw that I should go get a degree. I just listened, nodded and went back to what I was doing because I don't have time to argue with people who think they're some sort of gods and everyone should obey them. Plus I care more about my life than anyone else. The decisions I make aren't just made up in 5 seconds. I have no idea how I spent 2 months doing this much work alone. Well at least it'll come to an end tomorrow. Got a long road ahead of me. Can't let this experience drag me down. I just opened my first bank account. Waited a week to get the debit card. Excited to buy stuff online internationally. Got it today. It's domestic thingy. Not visa or MasterCard. So you can squeeze every little bit of information about me? So yesterday I was really started coding the work project and went into "the zone". At evening it felt like 1 or 2 hours had passed. I normally sleep at 10 but yesterday I wasn't feeling sleepy at all. I used to hate java for some reason. Now I'm doing a project on it and kinda starting to like it. I guess I made a web app in it and then used Django and was like why use java. Now making a rest api which isn't that bad. Me(inside): am i kinda more experienced than most of u? So guys I might have an interview after a few weeks. The role is related to data science. 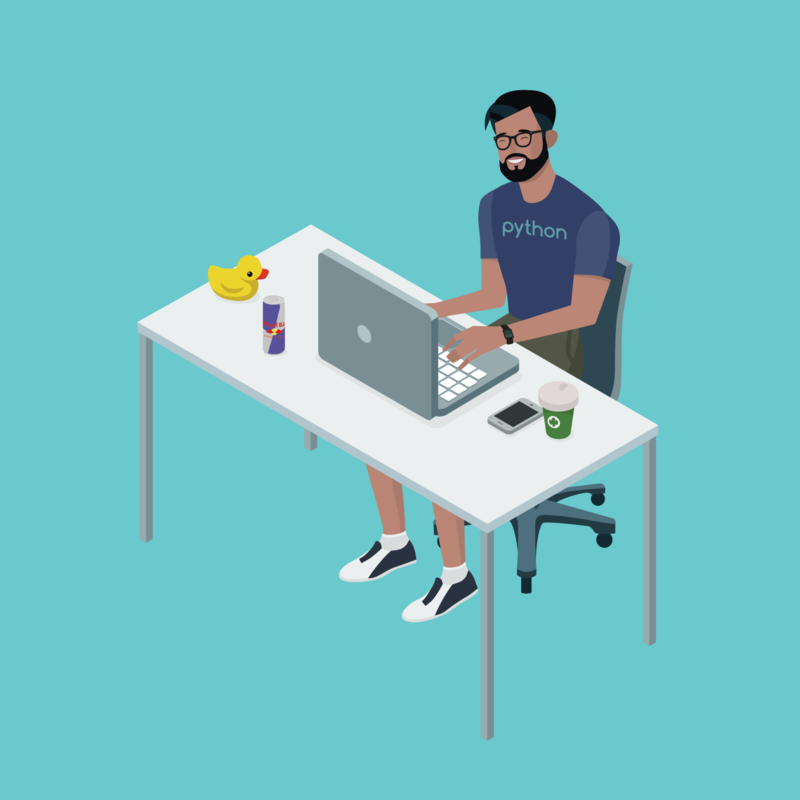 I have experience in Python and so now I need to gain some skills in data science using it. Are there are specific things I should learn about? Any of you guys voluntarily teach programming? I joined a Python group for my country and they wanted volunteers to teach Python to people. I'm not sure if I should join or not. I mean it would be helpful and good to do but don't know if I'll be able to 😄. I got a call from them and we are scheduling a meetup. I joined not only to teach but to improve my social view as I'm on the self taught route and thought it would help me in my journey. What are your thoughts? Should I join? Installed pixel experience rom. Tried google camera. So I'm doing an online programming challenge. There are 3 problems of which I've solved 1 (and currently solving 2nd). So I'm doing internship at a Mobile Operator. I've been assigned to research and work on implementing Mobile Connect. Coming from coding in python all the time, it is really different but fun. I'm spending my time reading technical documentation and not doing much coding. I'm the youngest there (as I'm self taught). It kinda gets boring when I need to do something and ask my boss about it but he's too busy with his work. But I kinda enjoy writing presentations and implementation docs and stuff. I don't really have friends that I can talk to as of now. I know I should focus on my work but it gets a little boring when I'm taking a break and am all alone. A very filtered view from our office. So I ended my internship at my first company. It wasn't really an internship cuz I just sat there learning my own thing but at least it was a place where I was free from distractions and focused on learning stuff. I now have 2 or 3 places where my application has been submitted. One is a Bank. It isn't like a really big bank but a small microfinance bank targeting the lower class. Judging from their website they like problem solving as they explicitly say "we aim to become problem solvers". I kinda like them because it's not a big bank so it would be a better place for me because I would have responsibility in the team. Other one is a GSM cellular provider. I have no idea how there would be a software engineer position for me and what I would be doing. Third (possibly) is a telecommunication regulatory/maintaining something something authority. No idea about that either. Seeing I don't have idea about some of these, is because I'm not the one that applied to them. How do you guys prefer working or chilling while using a laptop? Do you sit on a chair or lie down in bed? I have a table for using laptop and a chair but I find lying down in bed at night which makes me sleepy and I'm pretty sure it's not good for my back. I can haz steam gamz?? ?